OK, so my last post contrasted flying LCROSS from flying an airplane, in touchy-feely terms, but now it’s time for some detail. This post provides describes the makeup and specific responsibilities of the Flight Team. Mission & Maneuver Design Subsystem (MMDS): Spacecraft fly on orbits (or “trajectories”) around massive bodies like the Earth and moon. The MMDS plans how to get from the orbit LCROSS is left in after launch to an orbit that will impact the moon at a very specific point at a specific time. LCROSS can change its orbit either by firing thrusters (Trajectory Correction Maneuvers, TCM’s), or by using the moon for a gravitational assist. 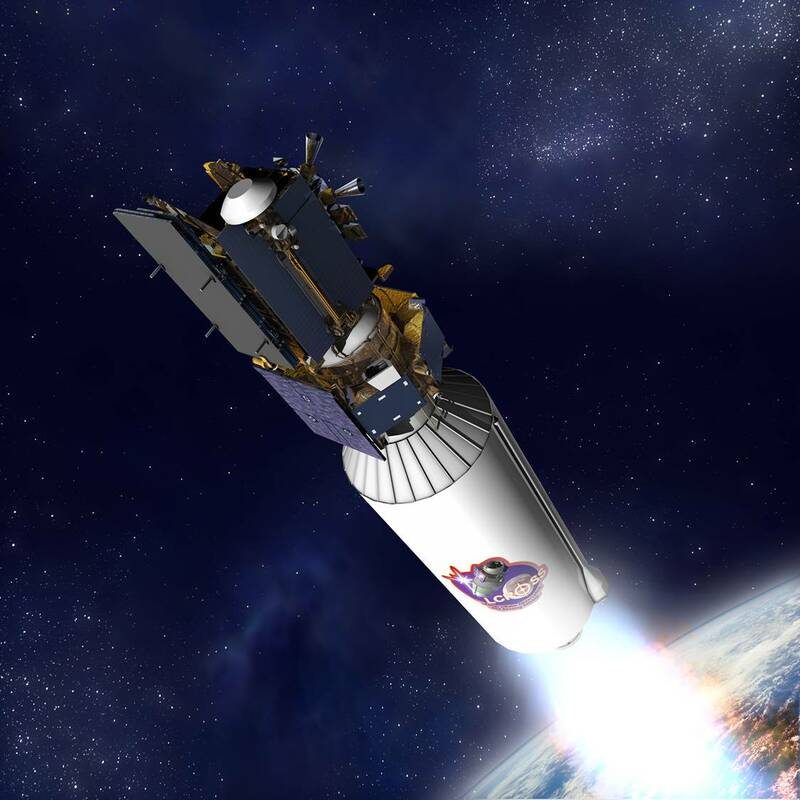 The MMDS plans a series of “maneuvers” to use as little propellant as possible, and yet to satisfy the requirements of impact (accuracy, impact angle, velocity, sun exposure, Earth visibility, etc). Our MMDS team is headed by NASA Ames, but also has team members from Goddard Spaceflight Center (GSFC) in <?xml:namespace prefix = st1 ns = "urn:schemas-microsoft-com:office:smarttags" />Greenbelt, MD. Navigation Subsystem (Nav): The Navigation team determines where LCROSS is at any time, and predicts where it will go under the influence of gravitational forces, solar pressure, and thruster firings. TCM’s are designed to target specific trajectories, but firing thrusters is never perfectly accurate, so we’re never precisely on the orbit we intended to follow. Even if we were, external forces like solar radiation pressure would push us off of it over time. To keep track of where the spacecraft actually is, the Deep Space Network (see CLASS below) tracks the distance and relative speed between ground antennas and the spacecraft, over time. This information can be used to determine the orbit we’re following. Our Nav team works out of the Jet Propulsion Laboratory (JPL) in Pasadena, CA. Communications Link Analysis & Scheduling Subsystem (CLASS): LCROSS communicates using radio frequency (RF) signals, between antennas on the spacecraft and large dish antennas on Earth. As it turns out, we can’t communicate with LCROSS any old time. The Deep Space Network (DSN), operated by NASA, provides three major antenna sites around the globe (Goldstone, CA, Madrid, Spain, and Canberra, Australia) to provide communications access to spacecraft. LCROSS shares the DSN with lot of other space missions, so we have to negotiate our contact times out of a very busy schedule. CLASS has to consider when LCROSS will be geometrically visible (or “in-view”, above the local horizon) from each of the ground sites, considering its orbit and the rotation of the Earth. For in-view periods, CLASS determines whether there is sufficient “link margin” to enable the spacecraft to communicate to Earth, and vice-versa. This is based on distance, spacecraft orientation, and the physical characteristics of the transmitting and receiving antennas and electronics. CLASS has members from NASA Ames, as well as schedulers from JPL. Activity Planning & Sequencing Subsystem (APSS): To perform a complicated set of operations, individual commands have to be composed into coherent command sequences. For each communications opportunity, the APSS creates an “activity plan” that includes the list of activities to be performed on the spacecraft (e.g. reorient the spacecraft, perform a TCM, dump data from virtual recorders, etc), the timing and order of the activities, and parameters they need to be fully specified. 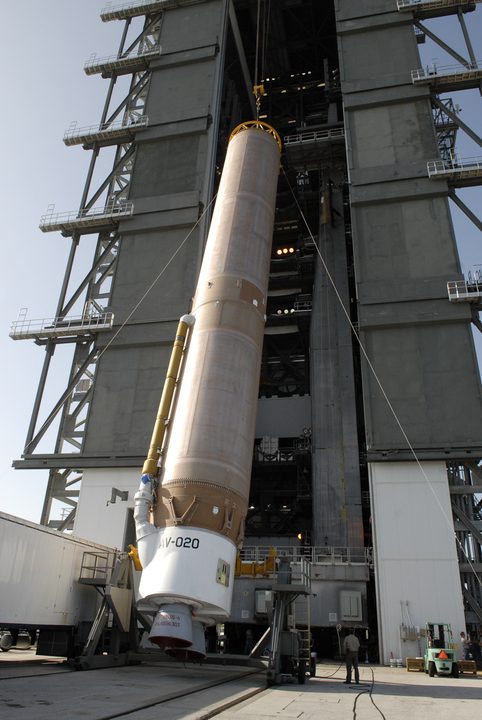 APSS then compiles a combination of ground-based commands and onboard command sequences to perform the activities. Our APSS team is based exclusively at NASA Ames. Engineering Analysis & Support Subsystem (EASS): If you’re going to fly a spacecraft, you better have a team that knows how it operates, inside and out. For LCROSS, that’s the EASS. EASS monitors spacecraft telemetry to determine whether it is healthy and operating as expected, and requests activities to be performed to maintain health (e.g. adjust power subsystem settings, calibrate the onboard clock). They need to be able to detect subtle hints that might suggest a problem on the spacecraft, and need to know how to fix a variety of problems using available commands. EASS also performs quality assurance for APSS, to make sure the command sequences follow spacecraft “flight rules” to keep the spacecraft safe. Our EASS team includes both LCROSS lead systems engineers from NASA Ames, as well as a deep team of systems and subsystems engineers (many of whom designed the hardware and software) from Northrop Grumman, the company that built most of LCROSS. Simulation & Testbeds Subsystem (Sim): A key tool for the Flight Team is the LCROSS spacecraft simulator. It’s a close copy of the LCROSS avionics (flight computer) and flight software, combined with a dynamic simulator that replicates the flight dynamics of the spacecraft (orbital mechanics, attitude dynamics) as well as many of the other spacecraft subsystems (power and thermal control, propulsion, communications, etc). In many respects, the simulator behaves just like LCROSS, so we use it to test command sequences from APSS before using them in real life. The Simulator Engineer runs the simulator and works with EASS and APSS to provide feedback on command products. Sim is run out of NASA Ames. 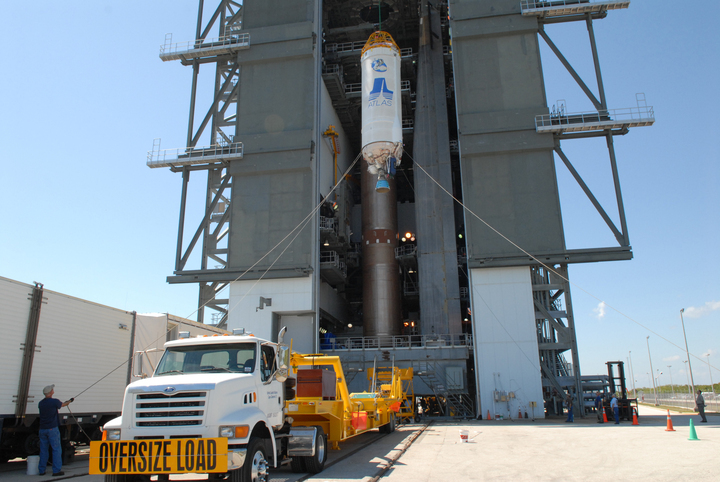 Payload & Science: The Payload Engineers are to our science instruments what EASS is to the rest of the spacecraft. They have a deep knowledge of the science payload, having developed and integrated those systems at NASA Ames during the spacecraft development phase. The science team is headed by the LCROSS Principal Investigator. During science activities like instrument calibrations and the sampling sequence after Centaur impact, the science team performs real-time analysis of data coming from the instruments to detect possible faulty instrument conditions. In that unlikely event, the Science team can request instrument or Data Handling Unit power-cycles to attempt to correct the problems. The Science Team also coordinates the ground-based observation effort, conducted from several major observatories, in real-time based upon the observed location of the Centaur impact. And of course the Science Team carries the ultimate responsibility for science data interpretation – to determine whether LCROSS actually found water. Data Acquisition & Commanding Subsystem (DACS): The DACS is the heart of commanding and telemetry operations from the ground. It includes the people that send commands to the spacecraft (“Flight Controllers”), the Flight Directors, and Data Management Engineers who help collect telemetry for plotting and analysis by EASS. 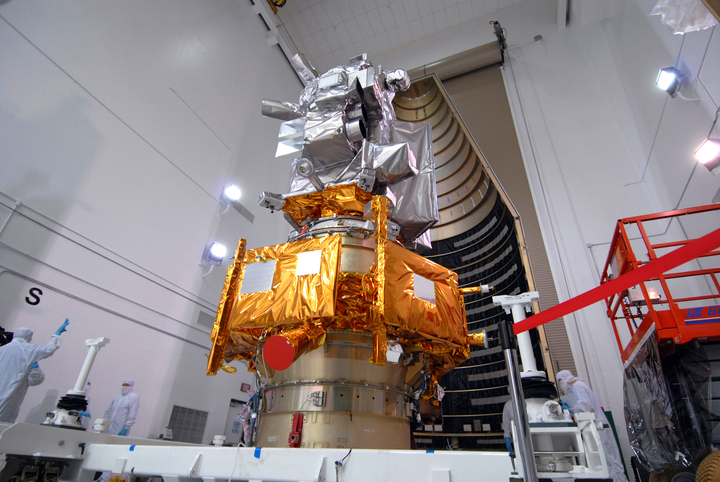 The Ground Data System includes DACS hardware and software that decodes telemetry received from the spacecraft and displays it on virtual instrument displays, and encodes commands to be sent to the spacecraft via the Deep Space Network. Our DACS team resides at NASA Ames. Data Management & Archival Subsystem (DMAS): The DMAS preserves the data generated by the mission, to make sure we don’t lose any of it. The DMAS performs backups of all operational computers used by the Flight Team, and stores it locally and off-site to ensure we can suffer a major system fault and still carry on. The DMAS is also run out of NASA Ames. Management: The MOS is headed up by the Mission Operations Manager (MOM), who ultimately ensures that the rest of Flight Team is always working in the best interests of mission objectives (defined formally in project requirements) and spacecraft safety. The MOM stays largely hands-off for nominal operations, but steps in to help the Flight Directors if the team encounters anomalous conditions and departs significantly from the planned operations path. He also acts as the liaison between the Flight Team and project management and mission stakeholders at the program level (Lunar Precursor Robotic Program – LPRP, run under the NASA Exploration Systems Mission Directorate or ESMD), and at NASA Headquarters. First, my apologies for not writing since my last post a week ago – things have been really busy as we prepare for our First Week Rehearsal this coming week (more on that in future posts). So, I’m posting two entries in a row to catch up. There’s so much to write about – I’ll get started! LCROSS will be “flown” out of <?xml:namespace prefix = st1 ns = "urn:schemas-microsoft-com:office:smarttags" />NASA Ames Research Center (Ames or ARC for short), at Moffett Field, CA, about 40 minutes South of San Francisco, and 20 minutes North of San Jose. Ames is perhaps best known for its impressive collection of wind tunnels for aerodynamics research, its supercomputing facilities, information technology and artificial intelligence research, thermal protection systems, human factors, and astrobiology. Though Ames has operated spacecraft and space-based experiments in the past, including Lunar Prospector and Space Shuttle life sciences payloads, it is now strengthening its mission operations base with missions like Kepler, for which Ames operates the Science Operations Center, and LCROSS, whose spacecraft and science operations are focused at Ames. The LCROSS Flight Team will “fly” LCROSS starting just 3 hours or so after launch, all the way through lunar impact in October. 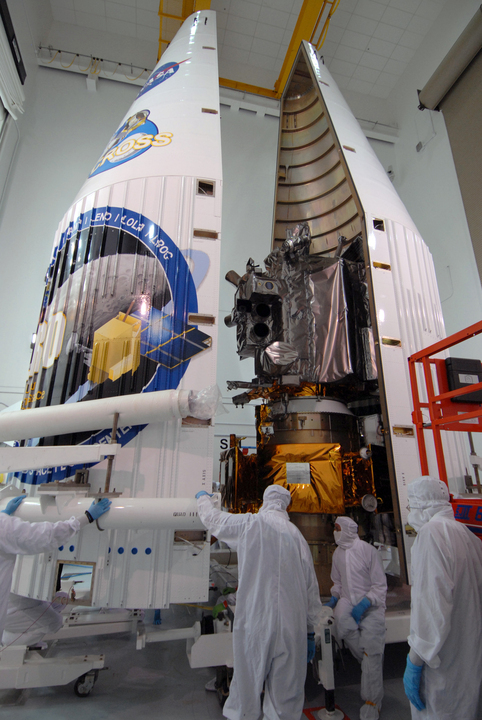 What is it like to “fly” a spacecraft? Is it anything like flying an airplane? For LCROSS, truthfully, no. A single pilot can fly a plane. A spacecraft typically takes a team of people – there’s just too much to think about for one person. How do we control LCROSS? Our control center has no joystick, no rudder pedals, no throttle, and, except on special occasions when the science cameras are active, not even a good view of space! Instead of instrument gauges and windows to look out of, our team has to rely on “telemetry”, time-tagged information on every aspect of the spacecraft (temperatures, currents, orientation, propellant tank pressures, valve states, etc). Instead of a stick, rudder, throttle, buttons and knobs, the flight team has to send “commands” to LCROSS – strings of data that tell the spacecraft to do something. The spacecraft offers an interface of a hundred or so possible commands, with parameters and syntax, just like the user interface to a software application. Individual commands usually perform simple tasks, for example “open a thruster valve”. Sequences of commands can perform quite complex activities. Think of LCROSS as a teleoperated robot, with the Flight Team providing the intelligence it needs to perform its mission. Another important aspect of flying a spacecraft that sets it apart from piloting an aircraft is reaction time. Controlling a spacecraft is much slower-paced than flying a plane. Even at lunar distance, commands take a few seconds or more to reach the spacecraft from our control center, even at light speed. Even though the spacecraft is moving much faster than an airplane, the distances are much more vast, and so we generally don’t need to rush. Rushing is risky – things can go wrong quickly if we’re not careful, and our team might miss something important. We’re not typically in much of a hurry anyway, so slow and safe is a good place to be. And yet, flying LCROSS is a lot faster-paced and interactive than flying a spacecraft orbiting Mars or another body at similar distance. Operators of spacecraft orbiting Mars and beyond must wait for tens of minutes or even hours to get any feedback from commands they send. The only practical way to operate those spacecraft is to upload fully pre-planned command sequences or plans, and then to examine telemetry hours later to determine what actually happened. With LCROSS, given its relative proximity to Earth, our Flight Team gets feedback from commands seconds after they execute, meaning we can adjust our actions in near real-time based on their success or failure. So in this sense, operating LCROSS is more like real flying than for other missions. Before pilots fly a plane, they file a flight plan that documents the basic details of the journey. Space mission operations takes that idea to the extreme. We’ve been planning LCROSS’s flight plan for years now, down to the last detail. We don’t leave anything to chance if we can help it. Before we launch, we’ll have a pretty good idea what we’ll be doing for most days of our 120 day mission. The more our team prepares now, the better off we’ll be if something goes wrong. A couple of readers brought an error to my attention regarding the type of engines used on the Atlas V. The engines are RD-180’s, not RL-10’s as I had originally posted. Thank you for pointing out the error! I’ve corrected the original post. I’m really happy to see people are paying close attention. Please keep the comments coming! I’m getting the hang of running the blog software, and I believe now that the blog comments should be viewable publically. Author ptompkinsPosted on May 13, 2009 Tags General3 Comments on What is a Flight Director?